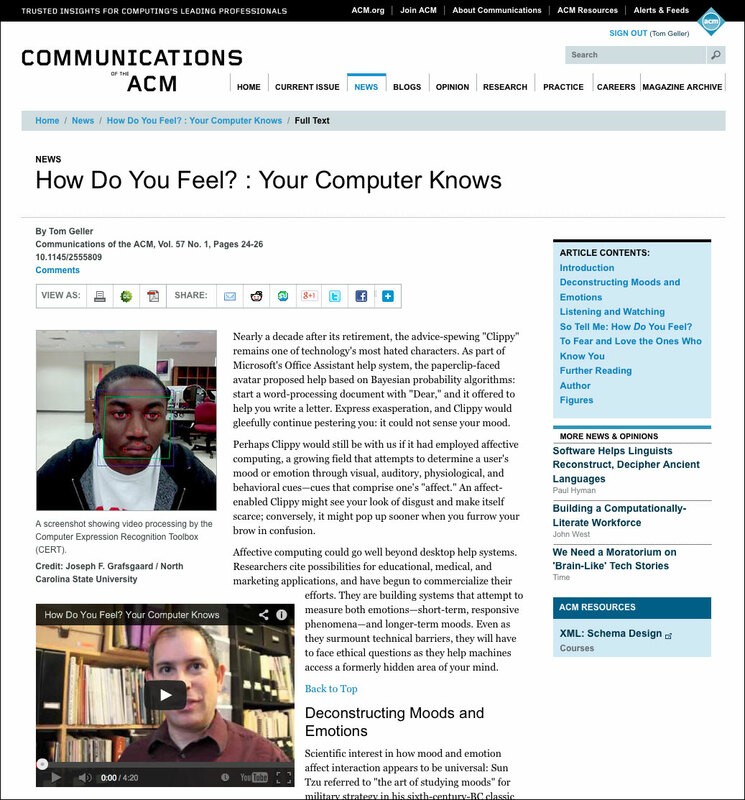 An article in the January 2014 issue of CACM about “affective computing”, which enables your computing device to perceive react to your emotions and moods. 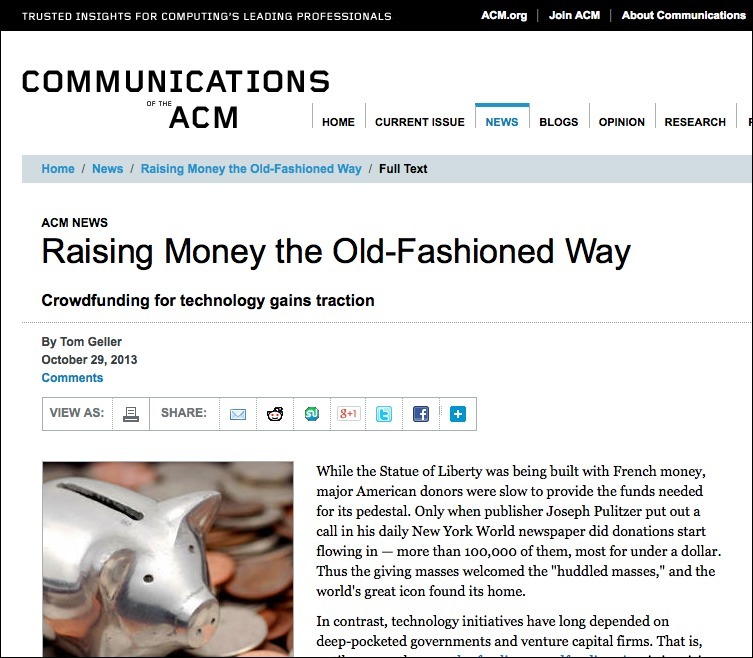 “Crowdfunding for technology gains traction” — an online-only article covering technology funding venues including Fundable, Gittip, Bountysource, and others, with commentary from various players including Eric S. Raymond and the National Crowdfunding Association. 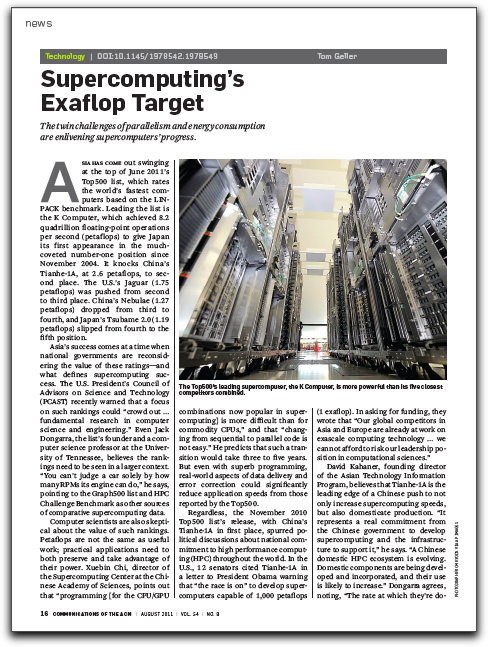 A short online-only article about how supercomputer developers are teaming up with application specialists to make the hardware’s power more useful. 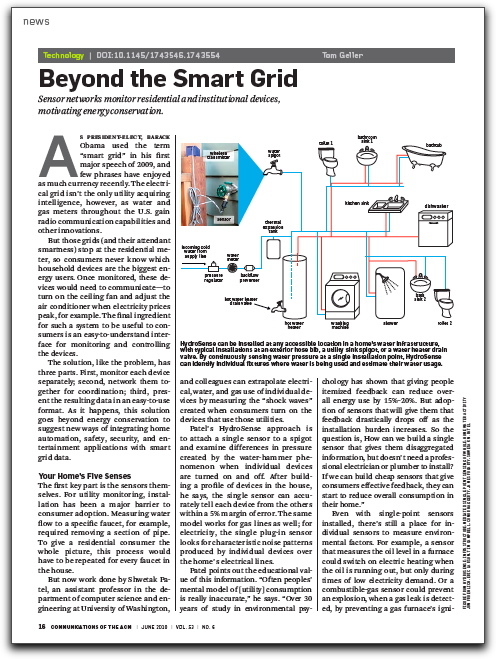 An article about vision systems that recognize actions, rather than just objects. 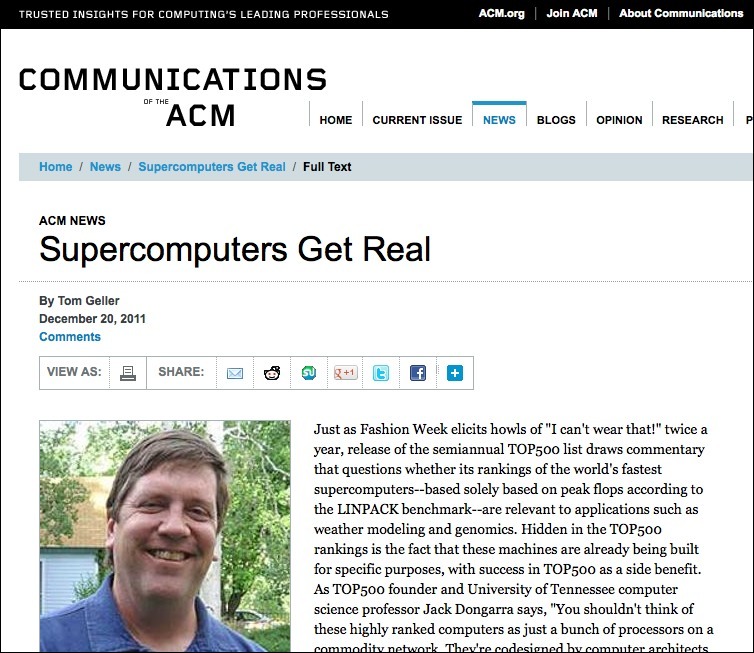 A video to accompany this article of the same name. 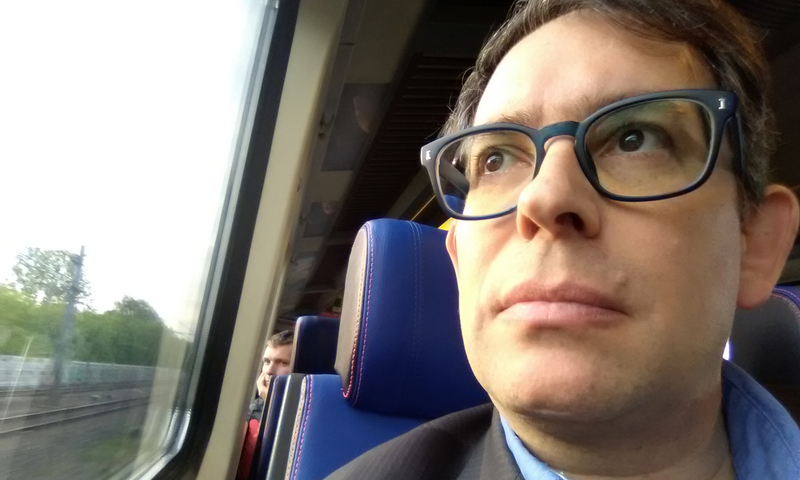 My first solo video production! 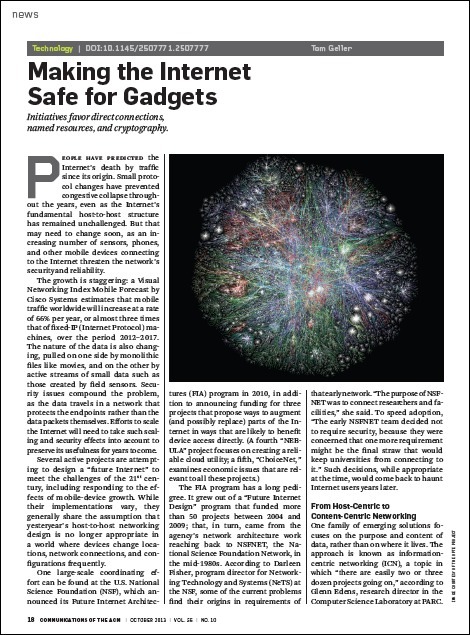 An article for CACM about competing technologies to repurpose the Internet’s host-centric architecture so it’s more appropriate for small, often-mobile devices. 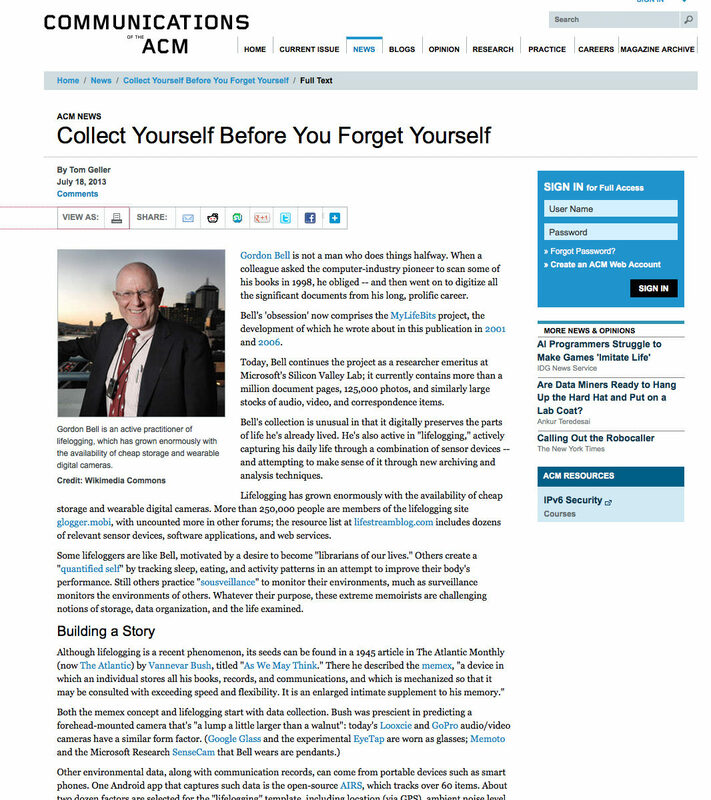 An article for CACM online about lifelogging, touching on the related subjects of veillance and “the quantified self”. 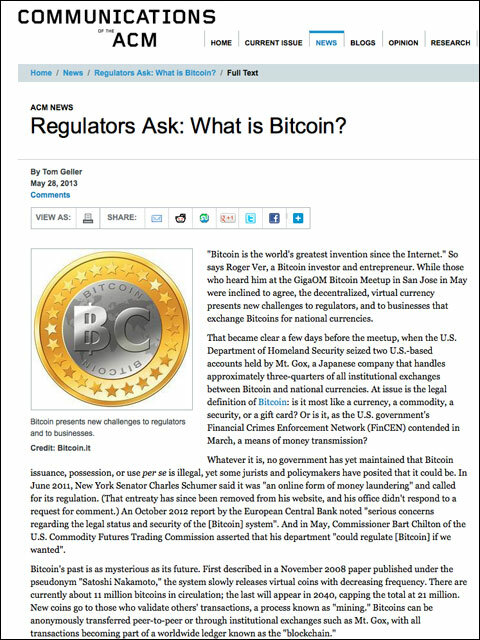 Regulators ask: What is Bitcoin? 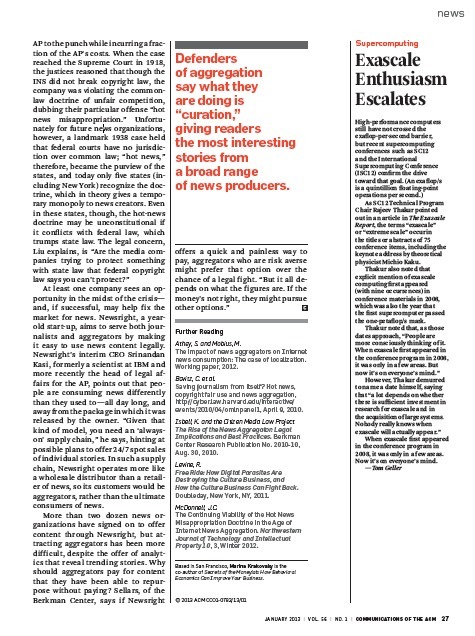 An article about legal challenges to the decentralized virtual currency Bitcoin, specifically on how the question of its definition affects its place in law. 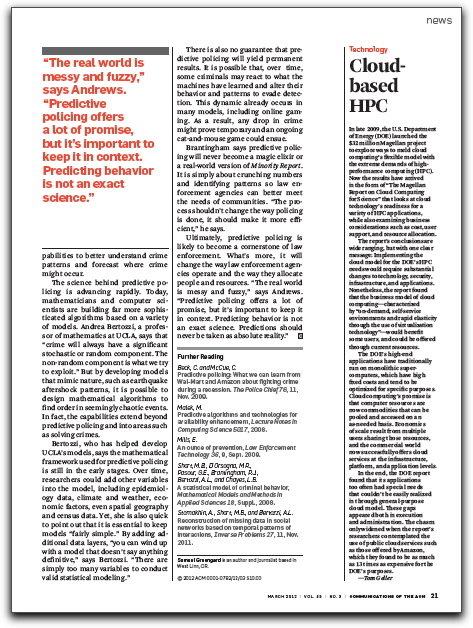 A very short report on the popularity of exascale computing at the International Supercomputing Conference 2012. 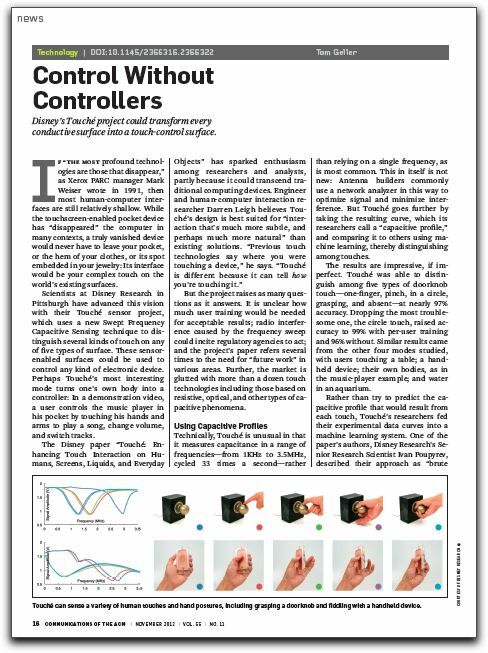 A feature article about Disney’s Touché sensor project, which explores new ways of controlling electronics with touch. 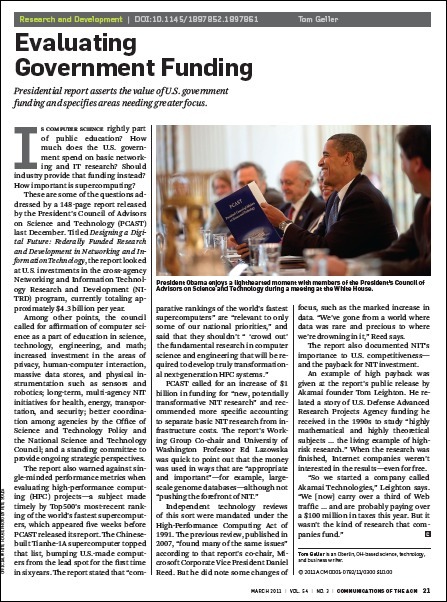 A very brief article about whether survey respondents believe that technology companies in the democratic West will increasingly help repressive governments. 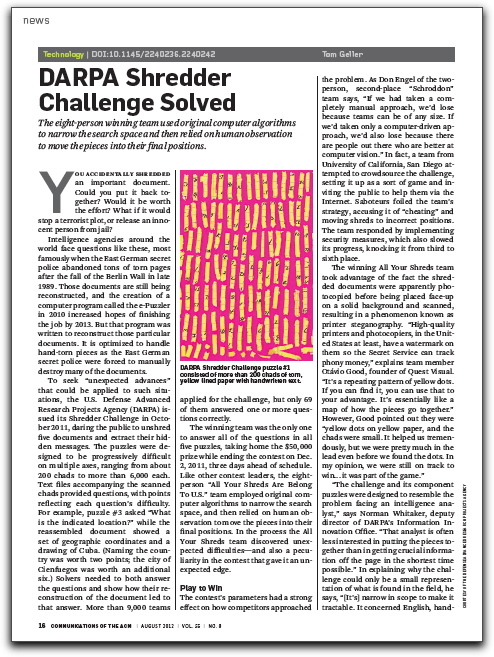 A feature article about a $50,000 challenge issued by DARPA and its solutions, including quotes from the First and Second Place winners. 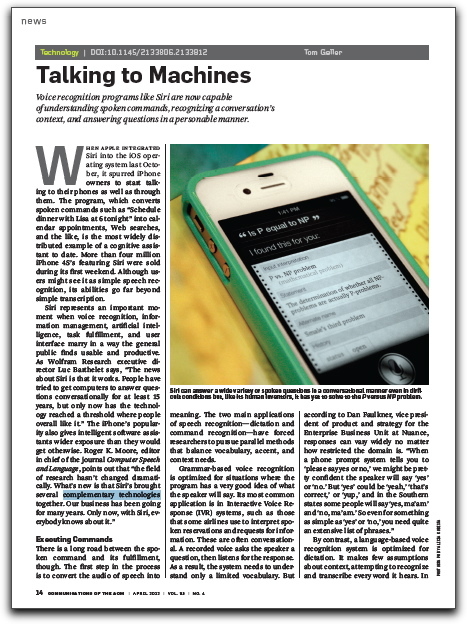 A feature article about modern applications of speech recognition, in particular how they’ve combined with complementary technologies to produce such consumer products as Siri. 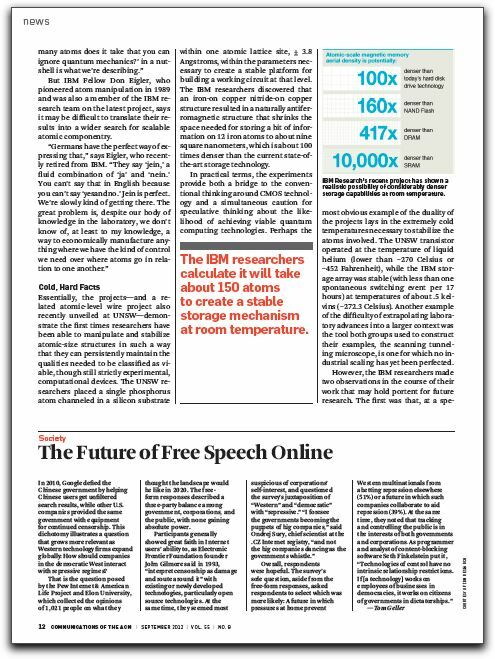 A very brief article about a U.S. Government report on whether high-performance computing is cost-effective using cloud-computing techniques. 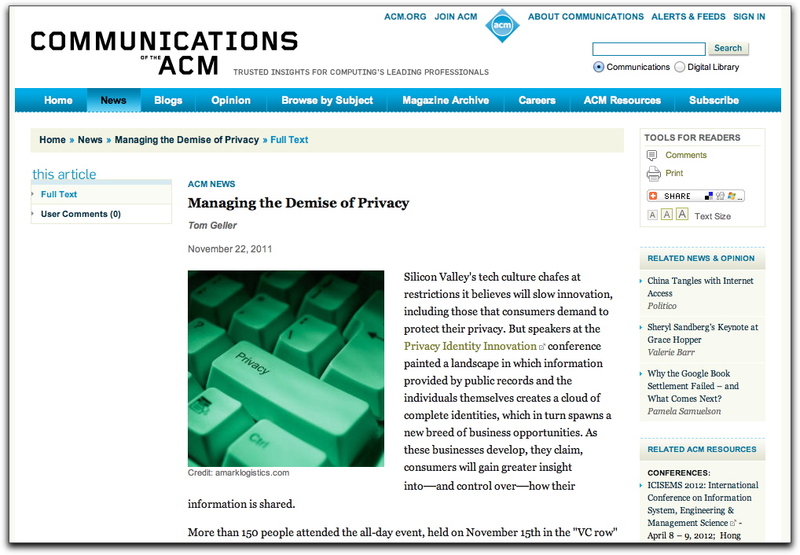 A news report on the Privacy Identity Innovation conference in Menlo Park, November 2011, which focused largely on how social media are changing the landscape for consumers. 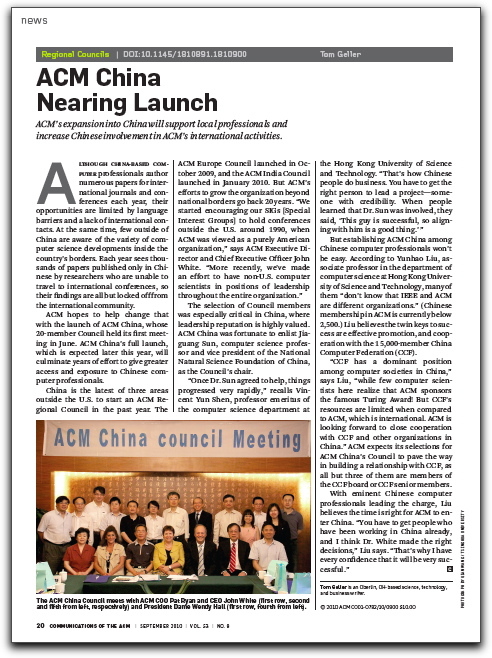 A review of Asia’s recent ascendency in the Top500 list of the world’s leading supercomputers, and the supercomputing field generally. 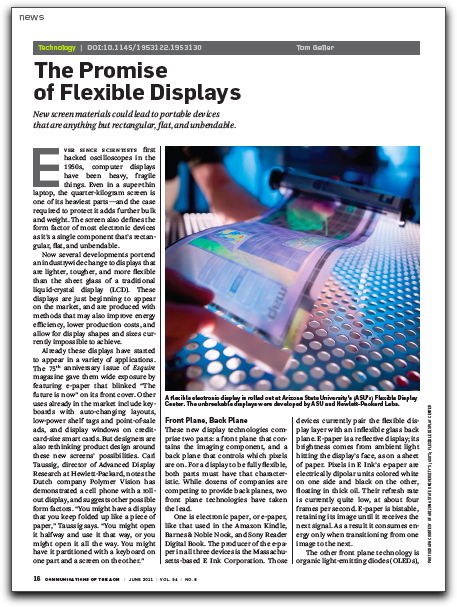 Article about advances in electronic displays that can bend, be made in irregular shapes, and be produced through a print-like process. 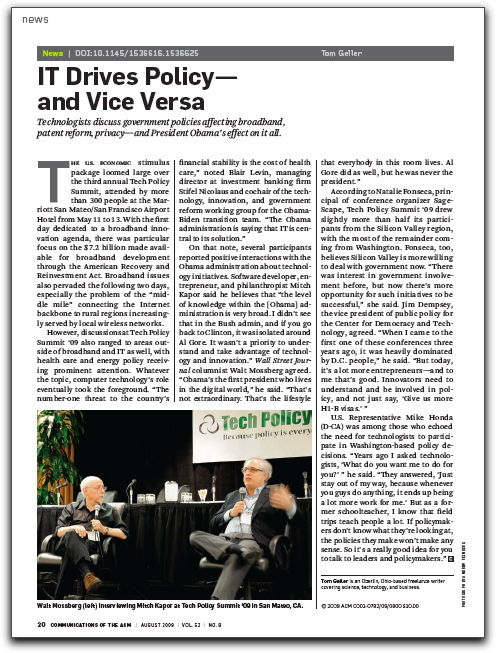 Reporting on a three-day conference about technology policy. 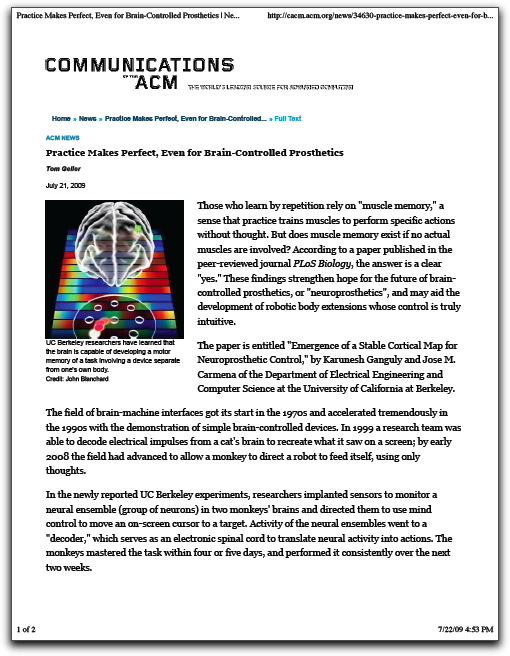 This was my biggest case of preparation overkill: 12,000 words of notes went into a 575-word article. 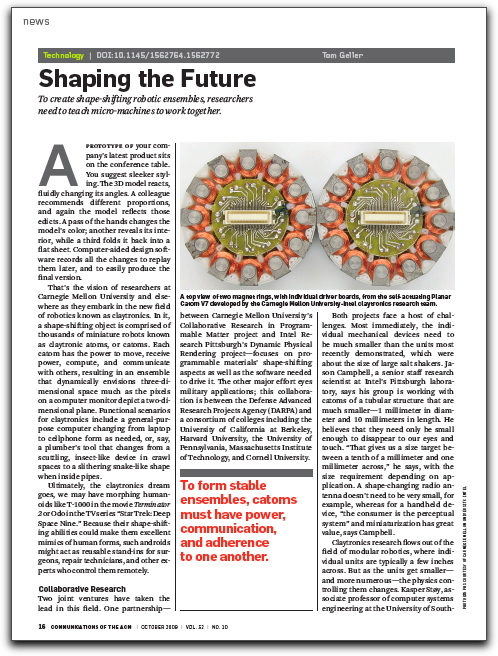 Article about “claytronics” — ensembles of tiny robots that self-assemble into larger functional units. 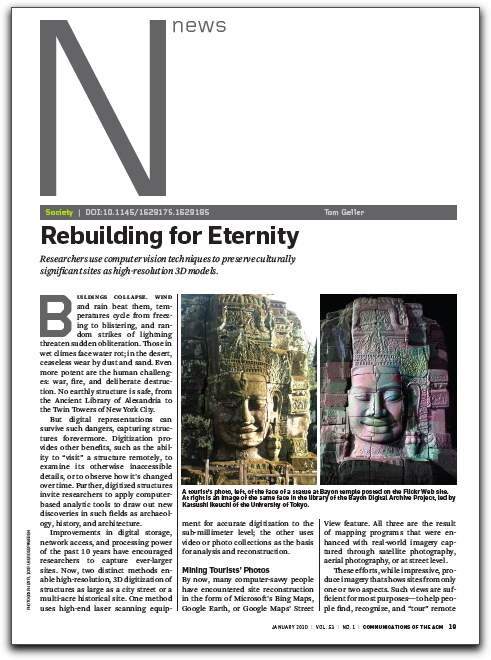 Article about “e-heritage”, digitization of large-scale historical sites such as the Bayon Temple in Cambodia.